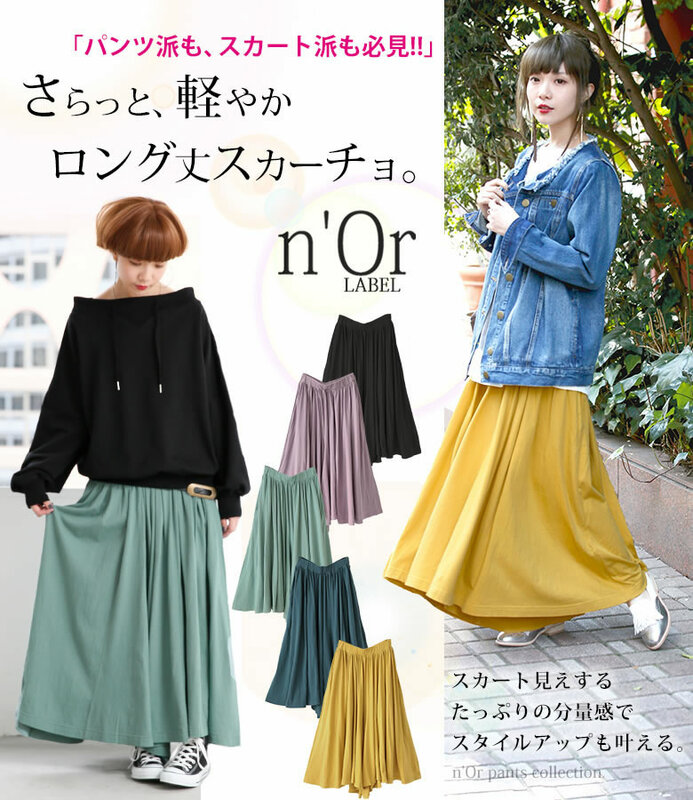 Both "the underwear group and the skirt group are unmissable!" 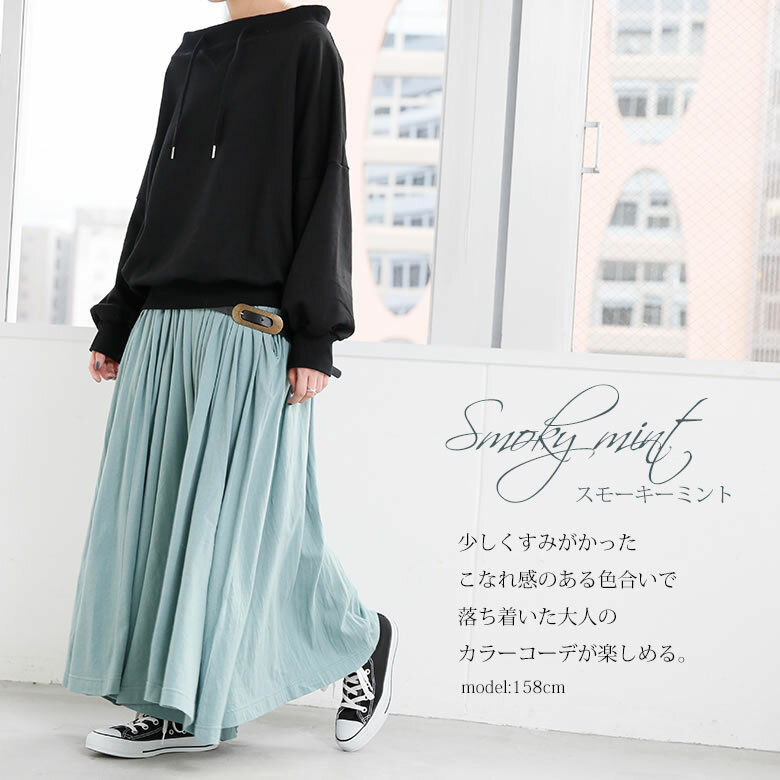 Light long length スカーチョ came up lightly. 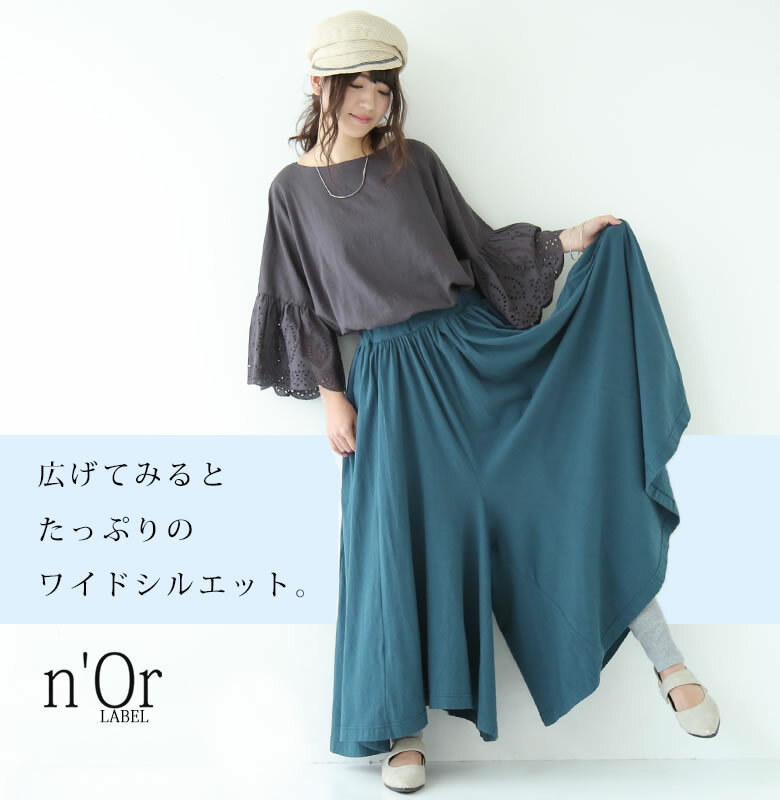 The gathers that I fully used the luxurious cloth for see it clearly without picking up the line of the leg, and they realize せを. 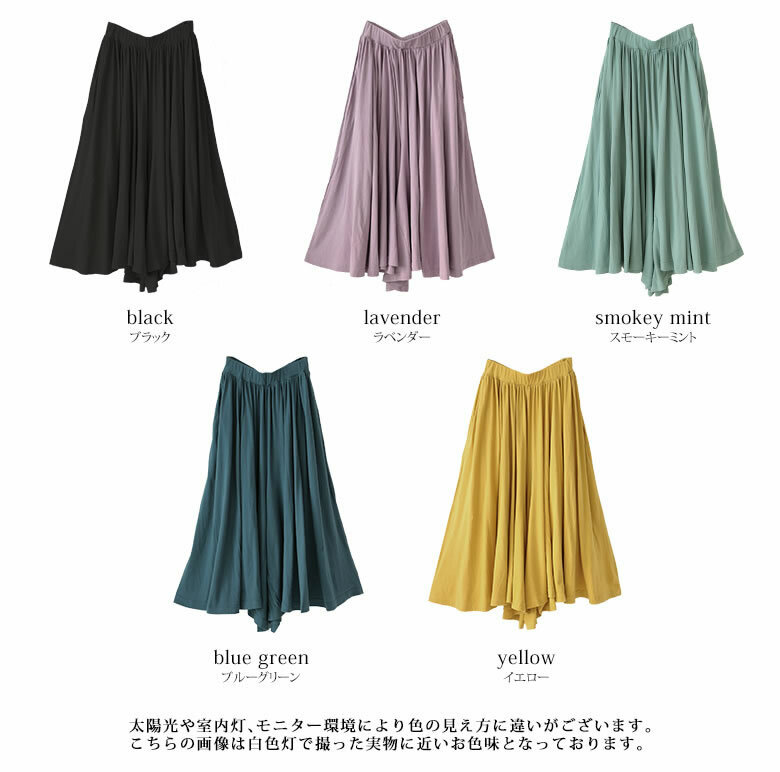 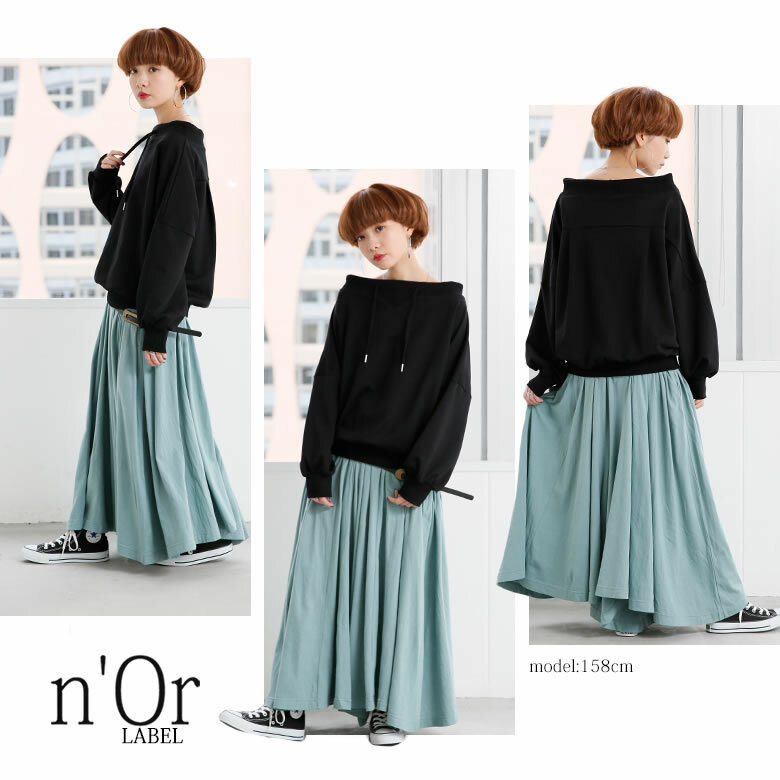 Both a feeling of relaxation and the beautiful silhouette are totally available because it is an easy waist rubber specification with the wide silhouette such as the long skirt. 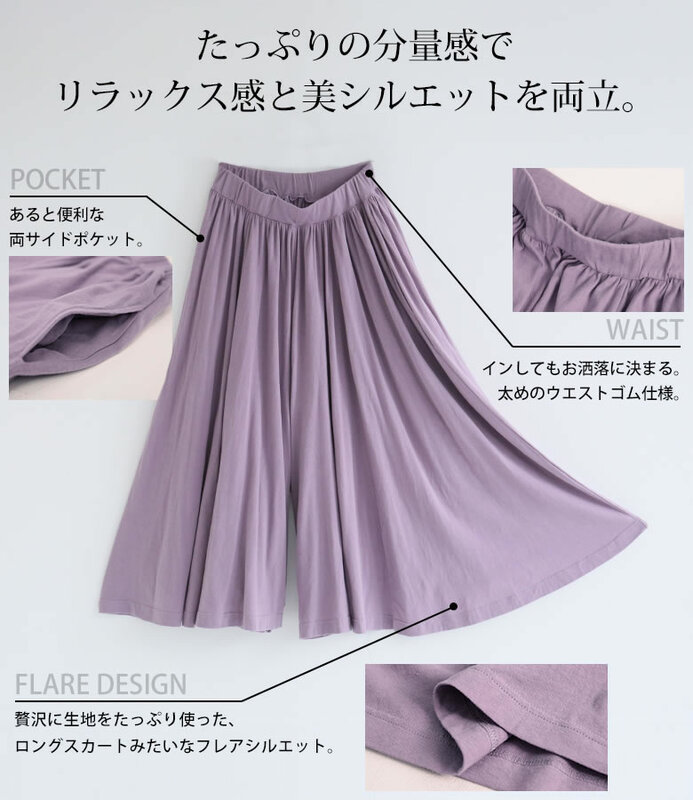 とろけるような柔らかさと素肌にも優しい肌触りの綿100％カットソー素材は、毎日だって穿きたくなる程の心地よさ。 Because the color variations development is abundant, you can enjoy any coordinates if you prepare it in different colors. 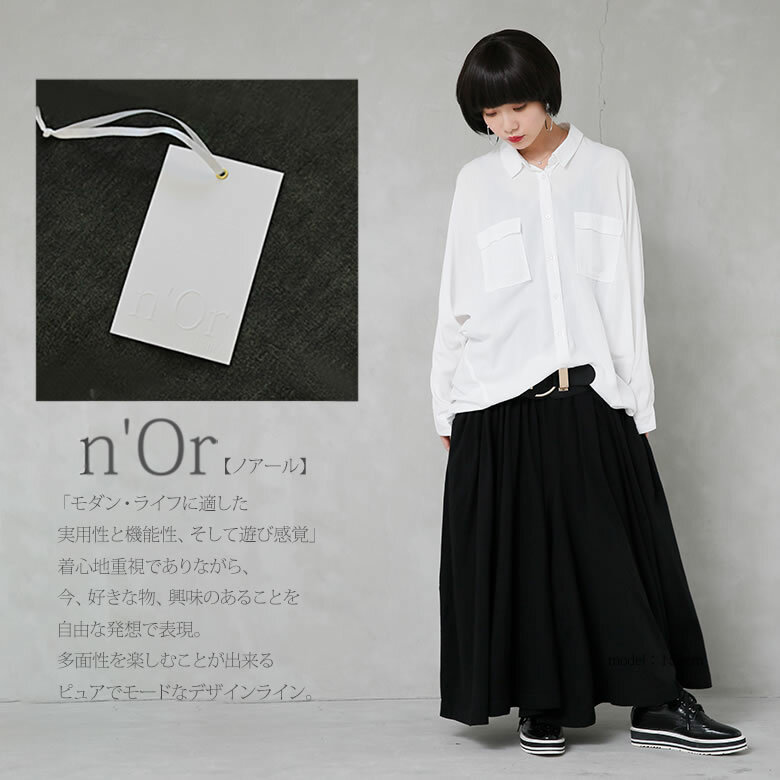 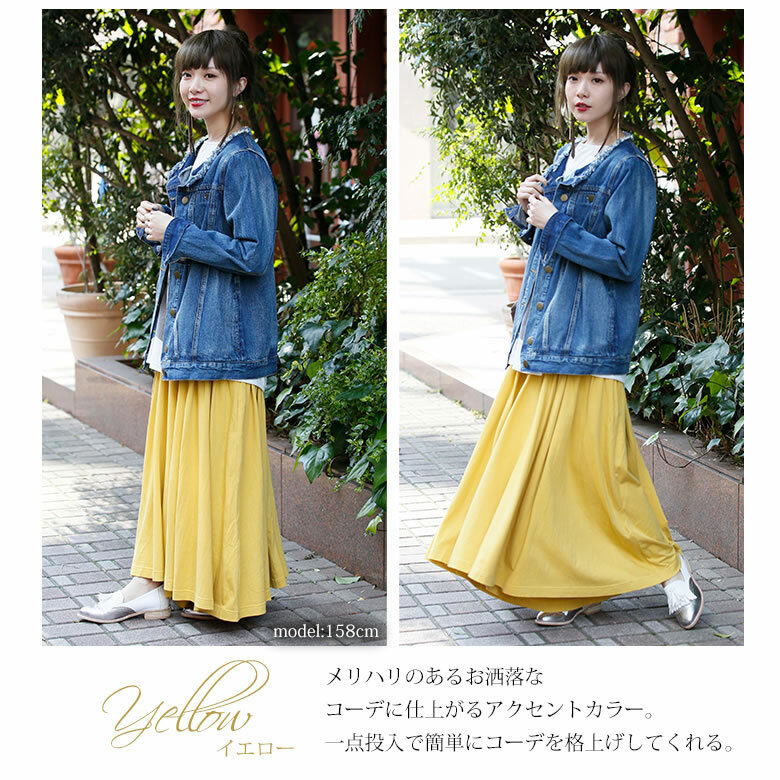 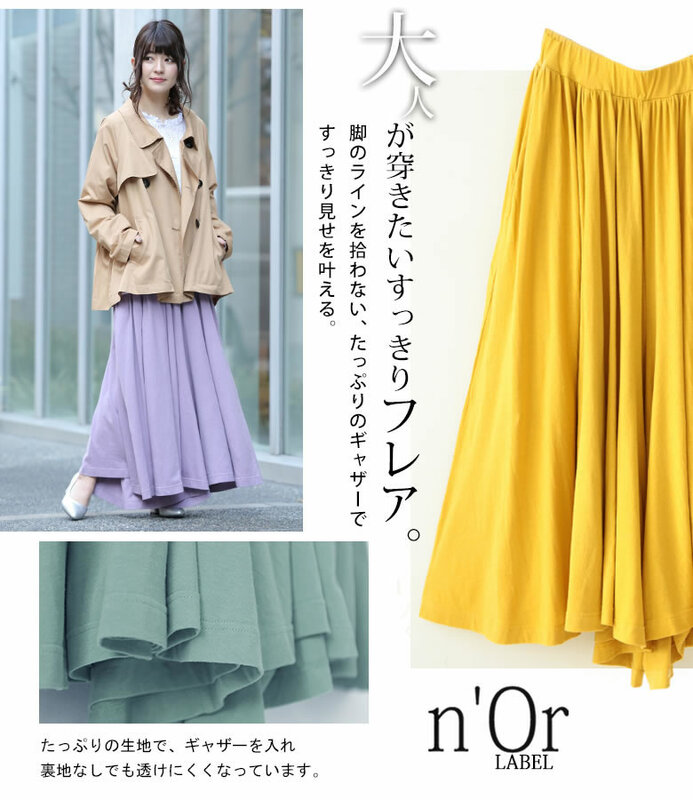 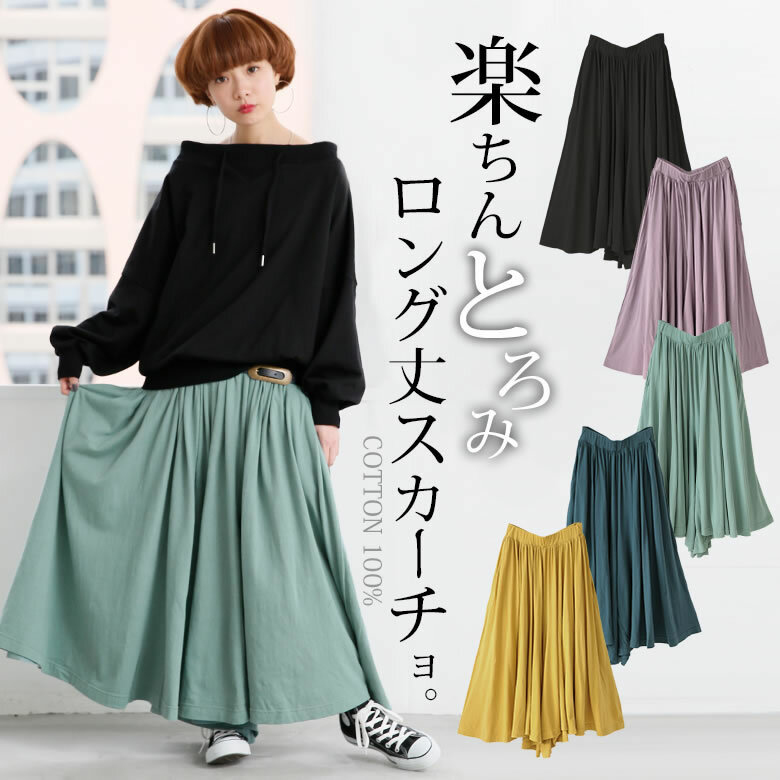 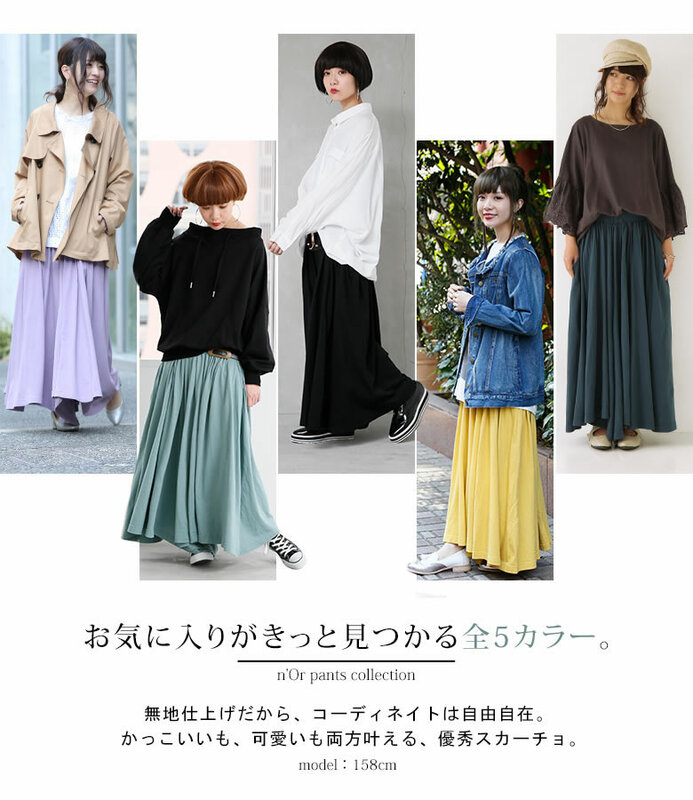 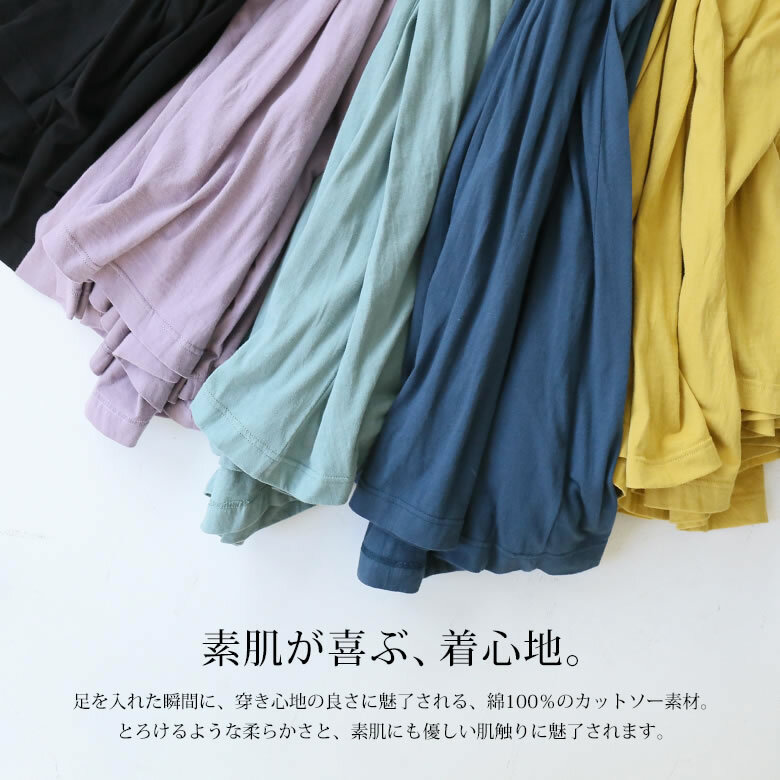 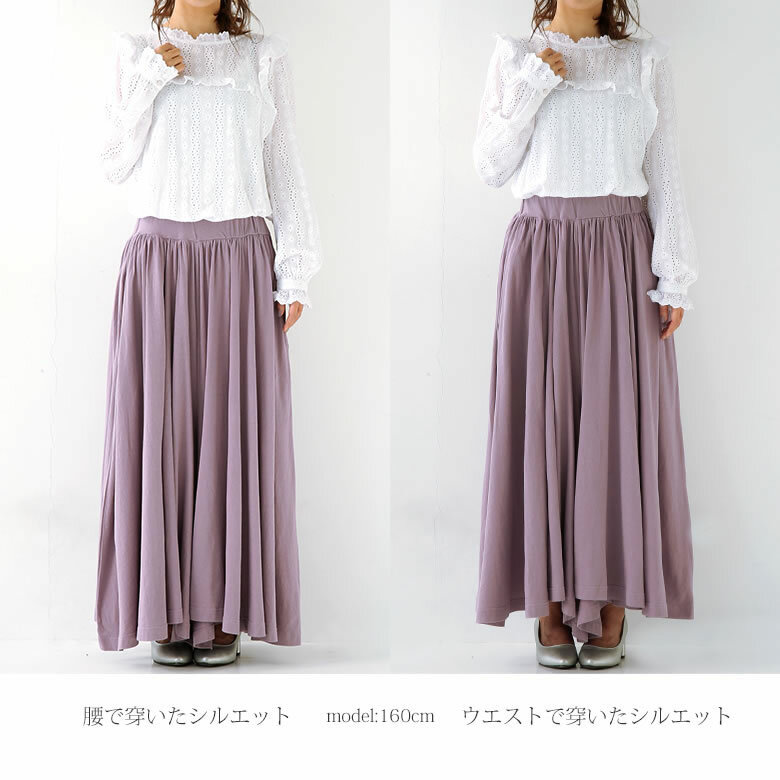 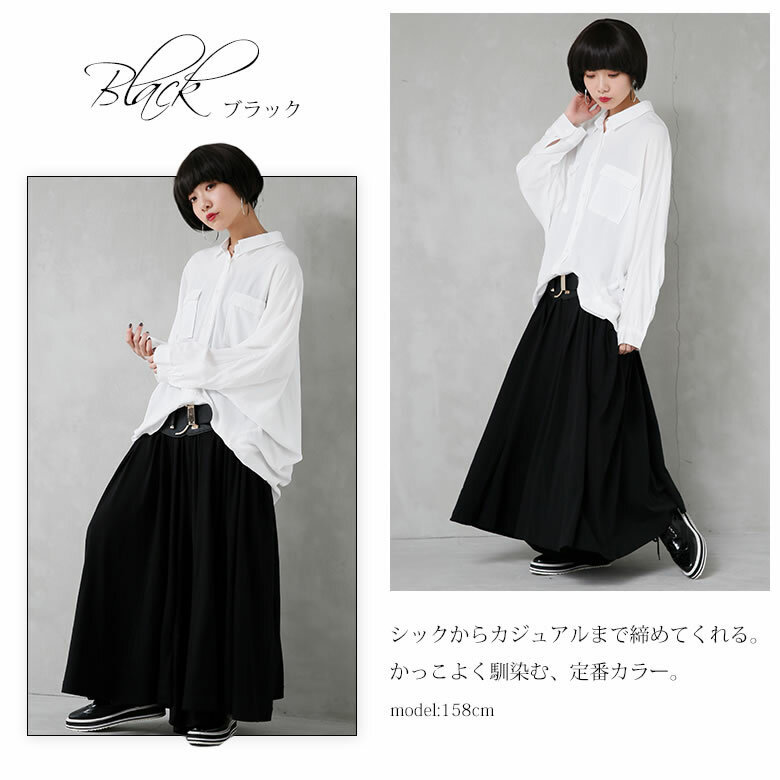 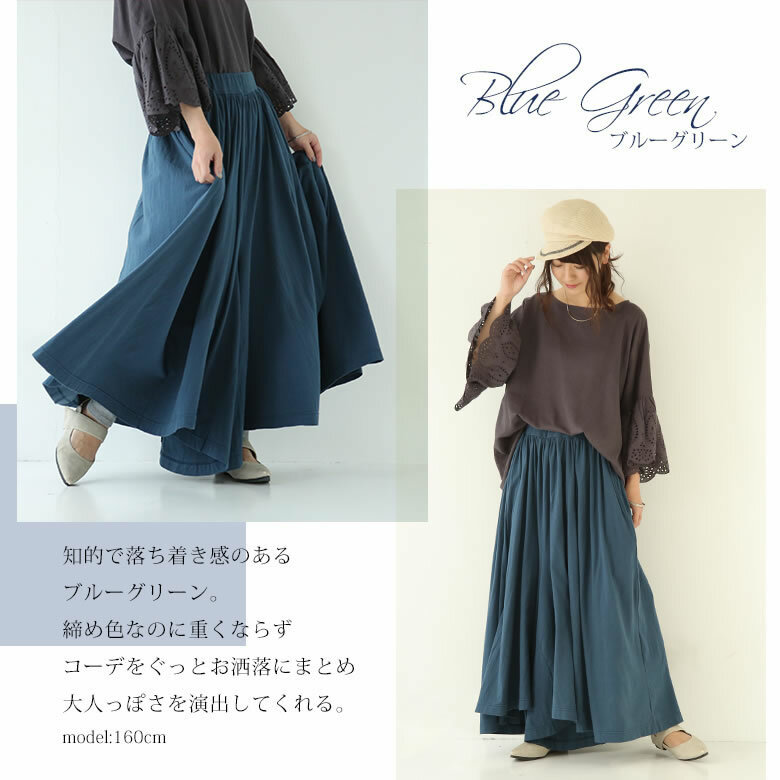 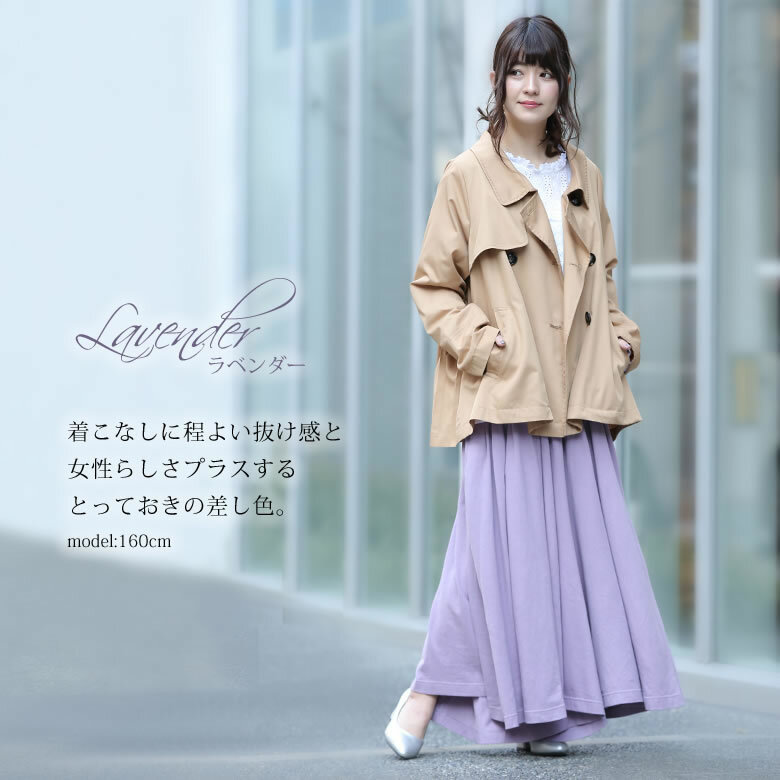 It is luxurious ギャザーフレアスカーチョ which grants style up for the volume as much as it is plentiful << n'Or >>.